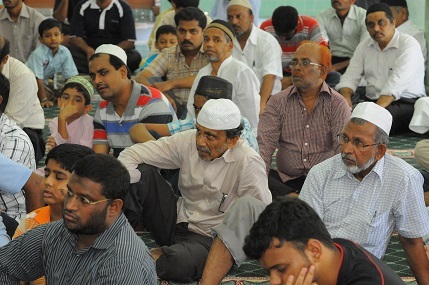 Our Masjid conducts monthly Islamic Talks (Tamil Sermon), named as Bayan in Arabic. 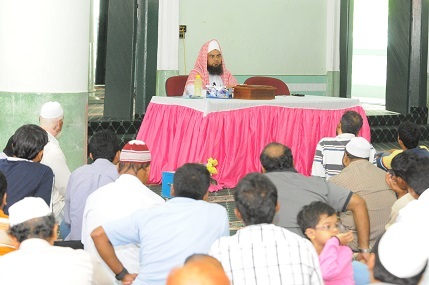 This is an ongoing program since 1994 and scheduled every third Sunday of the month (except for the month of Ramadhan). The Chief Imam of the Masjid will be delivering the speech. Both Muslimin & Muslimah will be attending the sermon which starts at 11:00 am to 12:45pm. For the convenience of the Jemah, lunch is provided. This programs increases the integration of Jemah towards the Masjid and also increases the family bonding among the public.